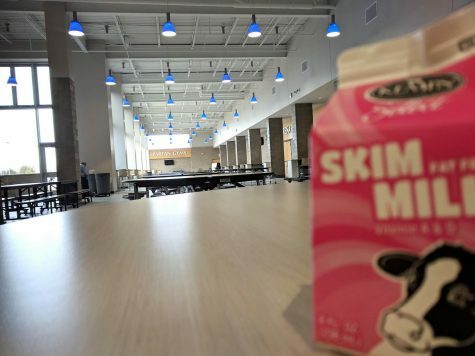 Last Friday in an email sent out to all students’ parents, SHS advisors clarified the policy restricting student-led clubs from setting up booths or tables in the Spartan Commons. 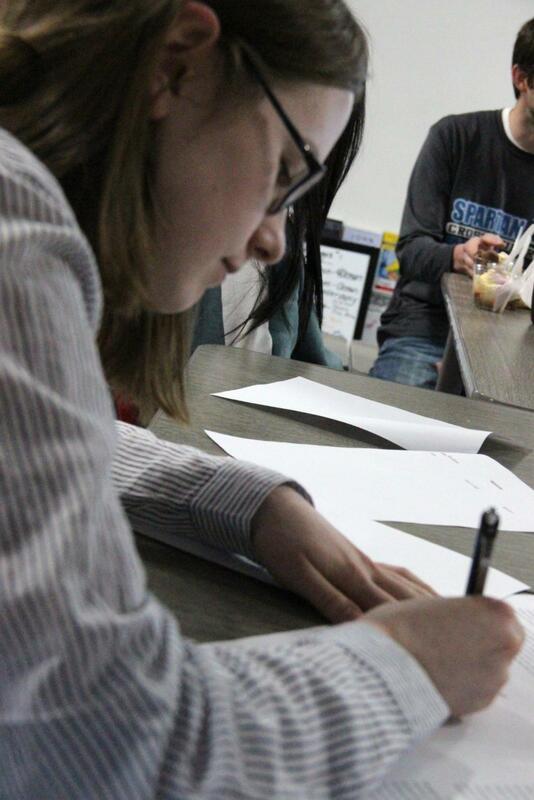 Senior Lora Randa, president of the Amnesty International club signs letter to the school board addressing the policy in room 1590 on March 22. As of Monday, March 18, student-led clubs are no longer able to use tables or booths in the Spartan Commons. 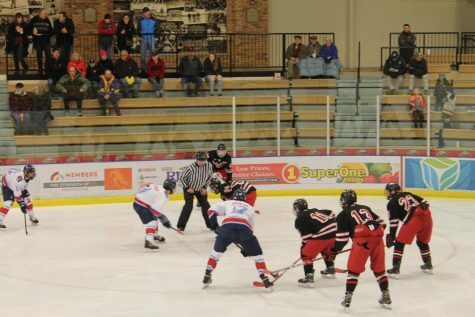 From this point on, only co-curricular/extra-curricular activities that are directly sponsored by the district are allowed to set up in the Spartan Commons to advertise or do any activities. 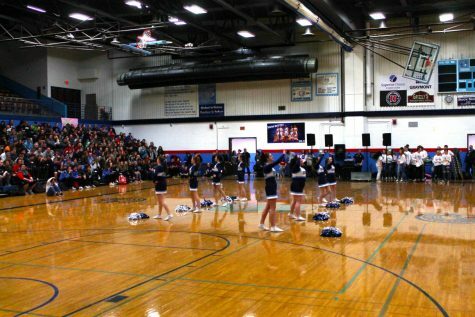 In an email sent out to all staff on the morning of Friday, March 15, District Administrator Amy Starzecki aimed to address and clarify policy questions regarding student group usages of school facilities (specifically, the Spartan Commons). According to Starzecki, after hearing from students, parents, staff and community members, she decided to review past practice, policy and procedures in the high school. With a goal to ensure students and staff feel safe and respected and prevent disruption to the learning environment, the school’s administration decided to clarify and enforce this policy. “It is my hope that these clear, consistent expectations for student organizations will meet the needs of our student body while preserving the rights of our students, staff, and community,” Starzecki wrote in a message sent to SHS students’ parents. 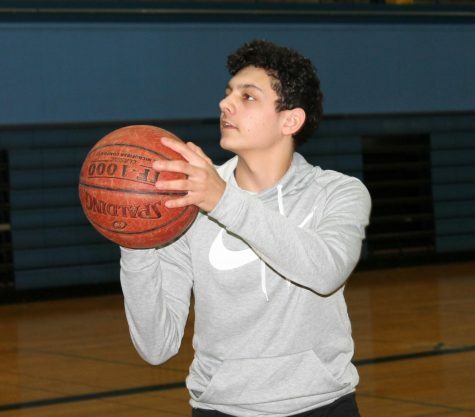 It is a main goal for the school to “always maintain a safe and orderly environment for every student,” Principal Greg Posewitz said. Students for Life club advisor, Lee Sims has found that while there is still a lot of interest in his student-led club, the students aren’t able to do everything they’d like to do. His club was one of the last student-led clubs to use the Spartan Commons on the last day of school before spring break. At this time, clubs were able to set up booths and signs in the Spartan Commons with approval from the principle. “Before spring break, we just needed the approval, and after (break) we can’t (use the area) at all,” Sims said. Now that students are aware of this rule, there will be some changes in the Spartan Commons. For the district-sponsored groups like sports, Yearbook, DECA, FBLA, Forensics, Student Counsel and more, members are still able to use available space for advertising or getting others involved in their activities. Yearbook is one of the groups who plans to take advantage of the Spartan Commons to sell yearbooks at the end of the year. One member of this club, senior Auriela Persons, feels that the clarified policy will have a positive effect on students’ education. However, groups like the Amnesty International club now will no longer be able to take advantage of the lunch room that was often used to accomplish group goals. The Amnesty International club used to use the lunch room for their “Write for Rights” campaigns, where they highlighted specific human rights abuse cases from around the world and found students in the lunchroom to sign letters directed towards the government of those nations. These student-signed letters were what created success for this club. Their goal is to call nations worldwide into action to stop human rights abuse. 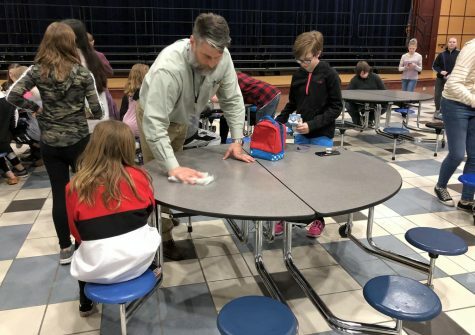 In the past, members were able to send over 2,000 letters by setting up a table in the cafeteria and approaching students about the work they were doing. “This policy effectively puts an end to any Write for Rights campaigns for Amnesty” said president of the club, Lora Randa(senior). Randa believes that instead of banning the use of the lunch room for all student clubs, problems should be taken care of on a case-by-case basis. “With a blanket ban like this, groups like Amnesty or GSA are effectively told to discontinue the majority of the work that we do,” Randa said. Advisor for the Gay-Straight-Alliance club Rachel Holden-Kaufman has also found it difficult to cope with the policy. The GSA is a student-led club that strives to make contact with the student body, through which they promote allyship, understanding and acceptance. The upcoming “Day of Silence” event is the GSA’s only fundraiser and their biggest way to get the word out about what their club is and does. As a student-led club, GSA will not be allowed to use the Spartan Commons to promote the event or hold their annual sale of shirts and pins. Members of the club are searching for new ways to raise money for their cause. 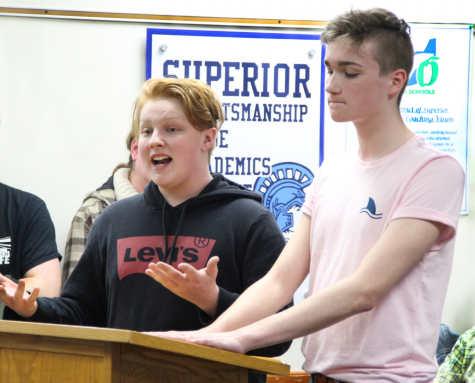 To address their concerns, students from the Amnesty International club, GSA and others wrote a letter to the school board and printed it out Friday, March 22. They then had members of their group and others like the Students For Life club sign it before sending. “A student does not lose their right to freedom of speech simply by walking through the school door,” Randa said. Principal Posewitz found the policy to be necessary in order to keep things managed and organized for the staff and keep the students feeling safe and secure. He plans to work with his staff to keep things in order and clearly enforce the policy. “Its a group effort to try to make things as safe and consistent for all the students in the high school as possible,” Posewitz said. He found that the best way to make sure the procedures will be clear and constant is to restrict a specific, clear-cut group (student-led groups). 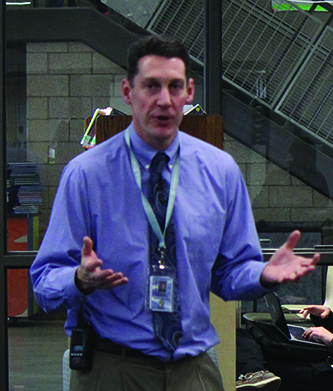 Although he’s received complaints, Posewitz knows he has to carry out his job, and keep things running smoothly throughout the school. According to Posewitz, the policy at hand was established last summer and was revised and clarified in order to keep students and staff aware of the procedures that should be followed in the school. He also stated that separating the co-curricular and extracurricular groups from student-led clubs makes school procedures more “black and white,” which makes the policy easier to enforce for those who need to do so. 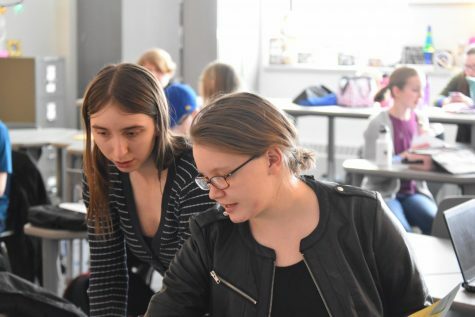 For the clubs that do need peer interactions in order to promote themselves and continue benefiting the community, Posewitz is working on keeping students engaged so these clubs can still be productive. “I’ve been trying to work with those groups individually to figure out how they can continue to do the positive things that they’re doing and still have that impact that we’re hoping for,” Posewitz said. Although it has brought upon a considerable change for students, this policy is intended to have a positive outcome. Whether it be complimented or criticized, this school policy will be carried out as of Monday, March 18. Tonight at the school board meeting, students from Amnesty International, Students for Life and other clubs plan to publicly voice their opinions on the policy.